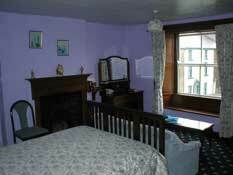 There are three guest rooms on the first floor. Two have double beds and one has twin beds. 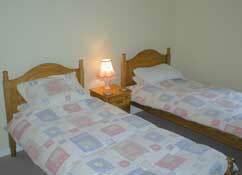 One of the double rooms has an en-suite bathroom. The other two rooms have washbasins and share a large bathroom on the same landing. All the rooms are comfortable and spacious. Two of them have views over the Square, and the other a view of gardens to the rear. We can provide additional sleeping space for families if needed. There are coffee and tea making facilities in all the rooms. There is limited secure and covered parking for cycles or a few motorcycles inside Annan House itself. 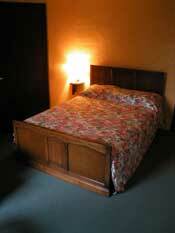 Prices are per person per night and include full breakfast. Discounts are available for double occupancy for 2 nights or more (excluding Bank Holidays and Special Events weekends). For more information or to make a booking, please call Jane on 01229 716388.